Sunday school was held in my neighbour’s house at Windstedt Drive, and at age 10 I started attending. 4 years later, after hearing the good news of Jesus Christ in a church near my home, I put my faith in Christ. However, within a few months I stopped attending church. When I was in Sec 3, due to the encouragement of my school friends, I began to attend the weekly Youth For Christ(YFC) meetings that were held at No 50 Hillcrest Rd. I enjoyed the fellowship of my schoolmates and I especially remembered the warmth and love that was showered on us by the host, Mrs Bromiley, the wife of a Singapore Bible College lecturer. Besides YFC meetings, a few of my classmates and I often gathered together in the wooded area behind the Dunearn Secondary Technical School science laboratory for morning prayers before class began. One day during class, two of my classmates, Paul Seow and Philip Lee shared enthusiastically that they had been filled with the Holy Spirit and spoke in other tongues the night before. They said they were also willing to pray for us to experience the same thing after class. So a curious few, about 7 of us, including some unbelievers congregated at the same place to hear them share, and to be prayed for. Paul and Philip shared their encounter with the Holy Spirit and laid hands on those who wanted the infilling of the Holy Spirit. As they babbled out in a language that I did not understand, as instructed, l asked the Holy Spirit to fill me. After praying for a while suddenly an embarrassing thing happened to me, an insecure teenager. I began to cry aloud like a baby. At the same time, I had the overwhelming feeling that I had grieved God greatly because of my disobedience and sins. I had never felt so convicted over my sins. I kept asking the Lord to forgive me and cleanse me of all my wrongdoings. I did not know how long this went on. In the midst of my weeping and confession, all of a sudden I heard myself speaking in an unknown language instead of praying in English. Later I was told that I was baptized with the Holy Spirit and had spoken in an unknown tongue. With this experience, I saw a new hunger for holy living, for devouring the Word of God, for loving Jesus, and a new boldness and urgency to see souls won into the kingdom of God. This revival brought opposition from main-line Christians that did not welcome this Pentecostal aspect of my faith. Subsequently, God led us to A M Matthew, an accountant with Castrol, who together with a few other Christian men, had been praying for world revival. In 1972, the revival broke out when many of my classmates, and secondary school students from various schools, some as far as Tanjong Katong, began to bring unbelieving friends to Saturday afternoon and Sunday morning meetings in Bro Matthew’s terrace house at 14, Jalan Dermawan. Out of this powerful stirrings of revival, World Revival Prayer Fellowship was birthed. The meetings were filled with prayer and intercession, and the Spirit fell upon many in conviction and tears. Loud crying, the infilling of the Spirit with tongues and other supernatural phenomena, lengthy teachings, frequent baptisms, zeal in street evangelism, and great love for one another were the order of the day. Hundreds of teens from non-Christian homes confessed to Christ and many including myself went on to serve the Lord in full-time ministry. Looking back, I am deeply grateful to the Lord that I was caught up in the Dunearn revival. The Spirit made the Word of God come alive to me and having experienced God’s love and power, I have since boldly invited others, “ God is real, come and experience His reality, power and presence!” We need to experience the reality and power of the third person of the Godhead on a daily basis. We need to hunger for the things of God and make time for the Maker of the universe. Never must we despise the manifested presence and power of God when it comes. God can come in mysterious and radical ways that often seem irrational to man. Let God be God! 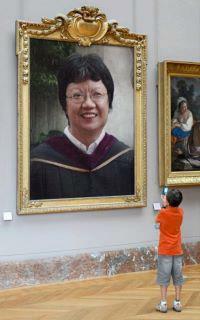 Ms Mary Tham left Far East Levingston and graduated from Singapore Bible College and served in World Revival Prayer Fellowship as youth pastor for many years. She later did her Masters in Ministry with Trinity Theological College. She stepped down from being a youth pastor a few years ago and is currently a freelance minister in the healing and wholeness ministry.